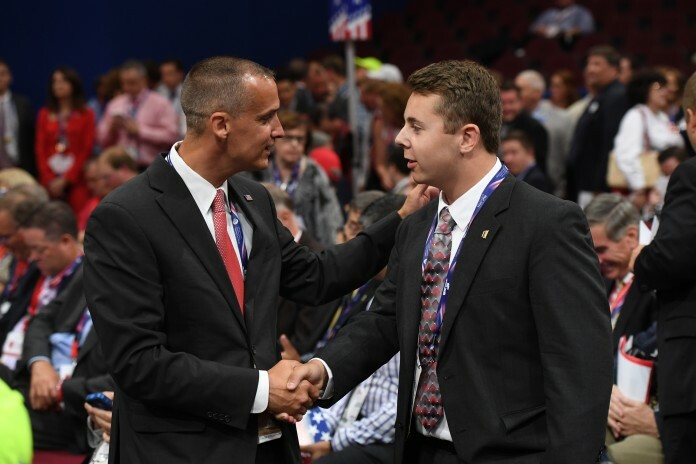 As the youngest of all 2,472 delegates gathered in Cleveland this week, 17-year-old Jack Salm is playing the critical role of Republican millennial. In other words, he’s tech support. Just ask Virginia “Ginni” Thomas, a fellow Virginia delegate to the Republican National Convention and the wife of Supreme Court Justice Clarence Thomas. Salm shrugged off the adulation – “It was just locked on the lock screen,” he said – and has stayed modest amid the enormous attention he’s been getting as the convention’s official 2016 whippersnapper. Salm gets to vote this year by just a whisker, not that any are visible on his baby face. He turns 18 on Nov. 5, a mere 72 hours before Election Day. He makes Kyle Kilgore, son of Virginia Del. Terry G. Kilgore look like a late bloomer for attending his first convention at the ripe old age of 22. But Salm, who washed cars and launched a GoFundMe campaign to underwrite his convention trip, didn’t get his delegate slot because somebody thought it would be cute. The rising high school senior happens to be chairman of the Northampton County Republican Party on Virginia’s Eastern Shore. He won that position in a contested election. At a statewide party convention, he persuaded Republicans to pick him for one of 13 at-large convention delegate slots. Nearly 100 contenders had been in the mix. Salm inherited his interest in politics from his father, John, an engineer who has served as Northampton GOP chairman and as a state central committeeman. He started tagging along to political functions when he was 9 or 10. For political geeks young and old, this year’s raucous convention has been a particular wonder to behold, especially from the vantage point of the Virginia delegation. Salm had a front-row seat to unrest within Republican ranks – starting with breakfast on the first morning. 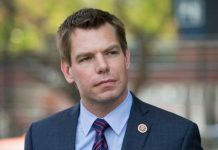 Along with Thomas, he shared his table with former state attorney general Ken Cuccinelli II, the leader of an ill-fated revolt over party rules. Cuccinelli allies circulated a petition during the meal, asking for like-minded upstarts to sign. Salm declined but took in the ensuing drama, eyes wide. Politics is hardly Salm’s only interest. At Broadwater Academy in Exmore, Virginia, he’s a captain of the football team, captain of the golf team and a straight-A student. He’d like to attend a Virginia college next year – he’s looking at several – to study business and Spanish. Salm said his interest in business is partly why he is attracted to Trump, whom he has supported since last fall. He likes the real estate mogul for his outsider status. He thinks Trump will make good on many of his promises, from reforming Veterans Affairs to building a wall along the border with Mexico. 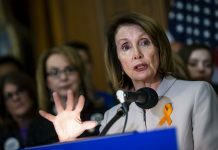 “I don’t agree with every single point with all of his plans, but we definitely need some security on the border and I think the wall would provide that,” Salm said. What really sealed the deal for Salm was meeting Trump during an October campaign appearance in Norfolk, Virginia. Their meeting was brief, but Trump seemed engaged and interested to meet him. Trump’s parting words were warm and directed toward the teen’s father. “Take care of your pops,” Salm recalled Trump saying. Salm has gotten plenty of other advice in Cleveland, at a confab where everyone is his elder. In between at least 20 local, national and even international interviews, Salm has gotten an earful from seasoned Republicans eager to guide the next generation. Party organizers have offered tips on organizing and building his GOP unit. Tax-averse Cuccinelli also gave John Salm the scoop on where to gas up the family’s Nissan Altima that carried them to the Cleveland. “Buy the gas in Virginia, then skip Pennsylvania and buy it in Ohio for the trip back,” he said.